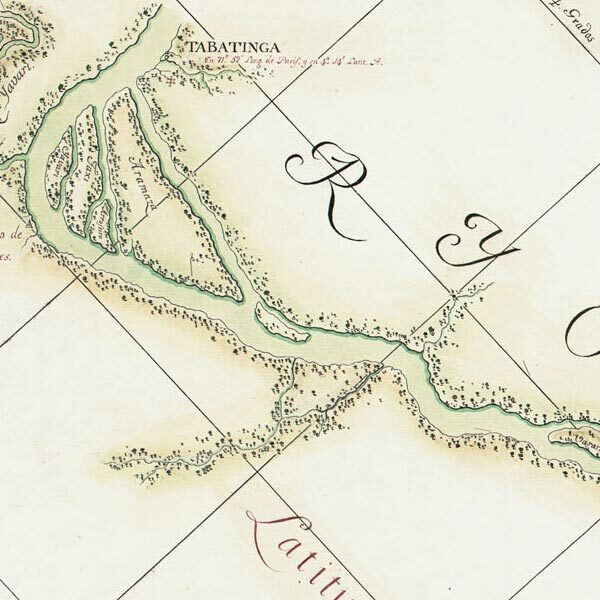 Francisco Requena's map of the Amazon River between Rio Caño Yauari and Avatiparaná. From 1788. In honor of the large number of Brazilian followers who have lately begun following the Big Map Blog, I present Requena's map of the Marañón or Amazon River, from the mouth of the Uarini and Atiparaná rivers. That's all I know about this beautiful map. Any Spanish-language speakers or historians able to add any more? Would love to hear it. And to my new Brazilian readers: Oi, como vai? Very good to meet you. I have many more maps of your beautiful country to share. Next time I'll make sure to get a proper, Portuguese language map. Wow, that’s really interesting ! Thank you! Estou feliz que você gostou. De nada.